What makes a football fan? We all likely have our own image of one. Perhaps we think of a family member who wears a jersey every game day. Maybe we think of a setting, the quintessential “football party” with beer and a variety of snacks spread out over a weekend afternoon of multiple game watching. Possibly we think of the extremes, the shirtless fan in freezing cold weather adorned in body paint and touting a foam symbol. Traditionally, we have thought of men in most of these roles. Men might be thought of as the “known quantity” of fans that leagues, teams and television programmers have marketed to for decades. But the Super Bowl is just around the corner, the capstone game of a $10 billion dollar a year industry, where advertising goes for upwards of $5 million dollars an ad. Can, or should, marketers rely simply on their classic image of a fan? A study recently conducted by The Martec Group suggests not. Examining the emotional reactions of fans, Martec noticed a number of fascinating differences between male and female fans. 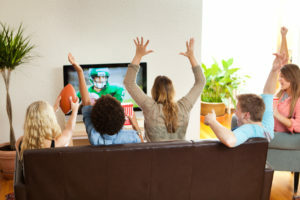 These differences suggest the female demographic, which has now become a major component of the viewing audience for not only the Super Bowl, but the NFL as a whole, may be a more reliable and engaged demographic for merchandise purchasing than their more volatile male counterparts. Women as a football-watching demographic have grown over the last few decades, to the point where Nielson reports they comprise 46% of the Super Bowl viewing audience. To put that in perspective, that’s more female eyeballs on ads than the Oscars, Grammy’s and Emmy’s combined. It’s enough that advertisers have taken note. 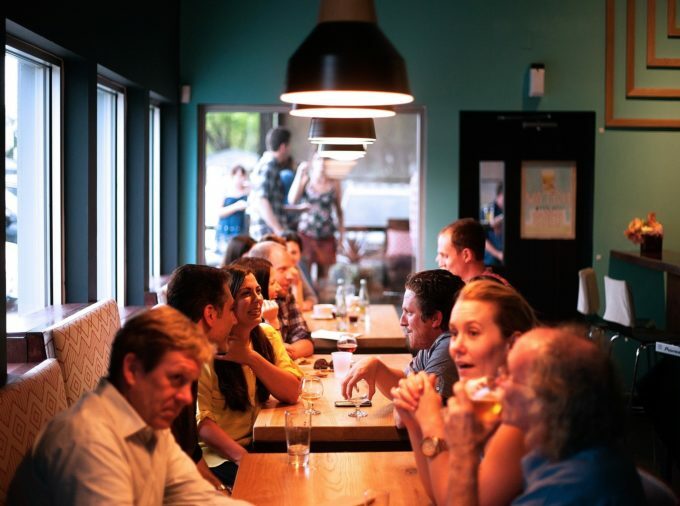 Analyses of ad interest and brand retention have become an important part of understanding the Big Game, and there’s some evidence of the shifting demographic even displacing the perennial football-beverage of beer in favor of more diverse offerings. All of this, however, is just for a single annual event, a game so big in American culture that it’s practically a holiday. Surely ads for the regular season are much more of a “sure bet” if they target the beer-loving, belly-painting male demographic? As our research found out, maybe not. Through our testing group with Emotion Mining™, an emotional intelligence tool that helps analyze not only surface reactions but also subconscious emotional states of respondents, we can see both what people state as their feelings were towards football and their favorite teams and their unstated (subconscious) emotional states. 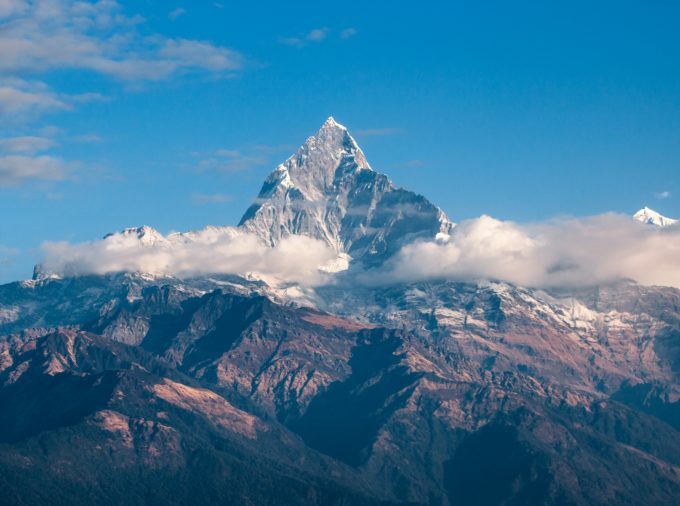 These subconscious states impact things such as the likelihood of merchandise purchasing, priority of live viewership of games and willingness to purchase extended NFL TV packages to keep up with more than just the home team. The results also key into explaining the entire consumer experience of viewership in a way more traditional analytical methods cannot. In this case, the study, done during the regular season rather than the playoffs, pointed to a very large, very consistently engaged, female demographic. Things get even more surprising from there. 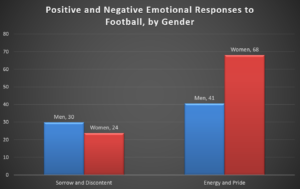 We’ve talked a lot about “common perceptions of fans,” and certainly some of the data fit what might be the stereotypes of gender and fandom: male fans were more outwardly expressive of negative emotions, while women were subtler, even when football evoked similar negative sentiment. 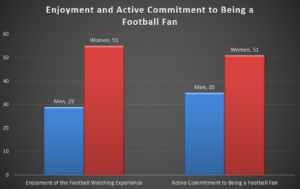 What was more surprising was in regards to enjoyment: women consistently enjoyed football and were more engaged and loyal than male fans. While enjoyment of the game did have an outward correlation to win/loss ratios, women fans of all teams consistently had a more positive experience and emotional state in regards to the game. This may feel counterintuitive with men as the seemingly more traditional football fans, but on top of having more pleasant feelings about being a football fan, women reported being more engaged overall by watching games, attending games, buying merchandise, talking about football on social media and other measures. Women enjoyed the football experience as a whole, while men seemed more singularly-focused on the action on the field. Women reported more positive emotions associated not just with loyalty to their team, but also with social interaction around the game. This led to them being more active, involved, and influential on the overall enjoyment of the football experience for the group. Men, while still engaged football fans, were quick to experience strong negative emotions when their team was not performing well, and their passive mindset limited their ability to change their emotional state. Who’s More Likely to Spend Nothing? Martec’s research also found this reflective in spending habits: women were consistent and regular spenders, the vast majority of which reported spending between $100 and $300 dollars a year on NFL related merchandise. Men were less predictable; some were extreme spenders (over $1000 a year), while at the same time men vastly outpaced women among those who reported spending nothing at all. What Does All This Emotional Talk Mean for Marketers in Football? Women’s enjoyment of the game experience is more consistent and more stable than men’s. While they do go up and down in relation to win/loss, their overall enjoyment is higher across the board. This makes women “equilibrium influencers:” a demographic that, if catered to, will maintain a consistent spending rate and “even out” the vicissitudes of a sports season. Women are also consistently spending more in the “mid-range” per year on football related materials. Marketing to women will therefore tend to see a stable and predictable rate of return. Overall, marketing towards the game itself will find a more receptive market in the male demographic, whereas marketing towards the experience of watching the game with family or friends will find more receptivity in the female market. We have notions of who true football fans are, but as our study has demonstrated, there is a lot more going on “under the hood” than our intuitive perceptions might indicate. Marketing to fandoms presents unique challenges in that, unlike traditional markets, consumer moods can seem unpredictable or quick to turn, resulting in quick profit loss due to quirks of the gridiron. 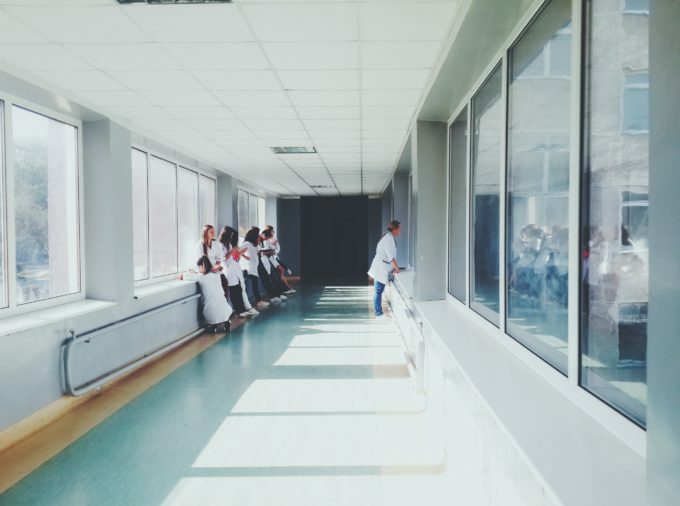 Specialized research can uncover stability in a swirl of rapidly shifting emotion – and through that, create a more reliable return on investment.